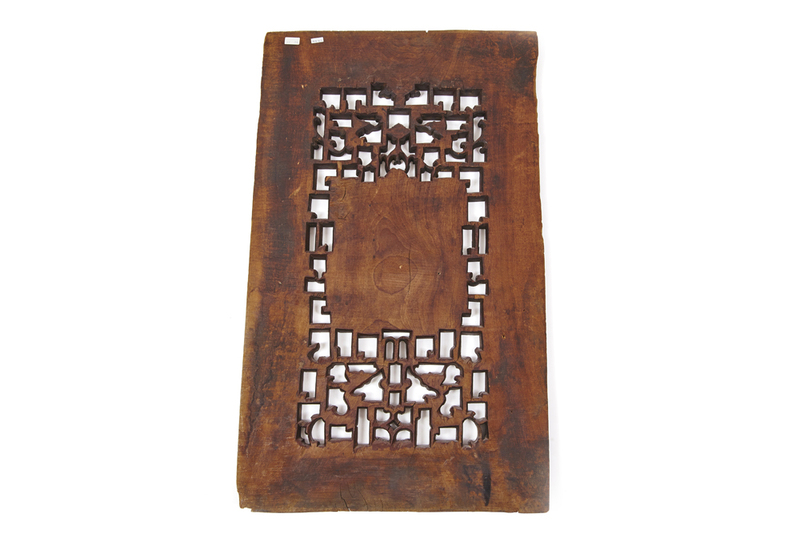 Skillfully carved in openwork relief from a single piece of wood, it remains in good condition. Traces of vegetal pigments as well as mother of pearl dust are still visible. 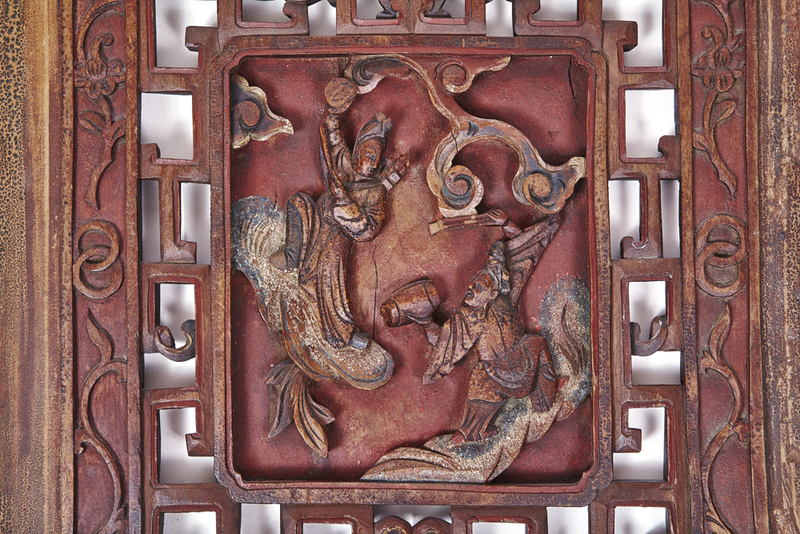 Two playful immortals frolic in the center as the main focus of this window panel. Standing amongst whimsically formed clouds, they each brandish a traditional Chinese drum, their grinning faces portraying a peaceful setting. The immortals dance in their cartouche amidst an intricately formed geometric surrounding that bears four winding Guaizi dragons. 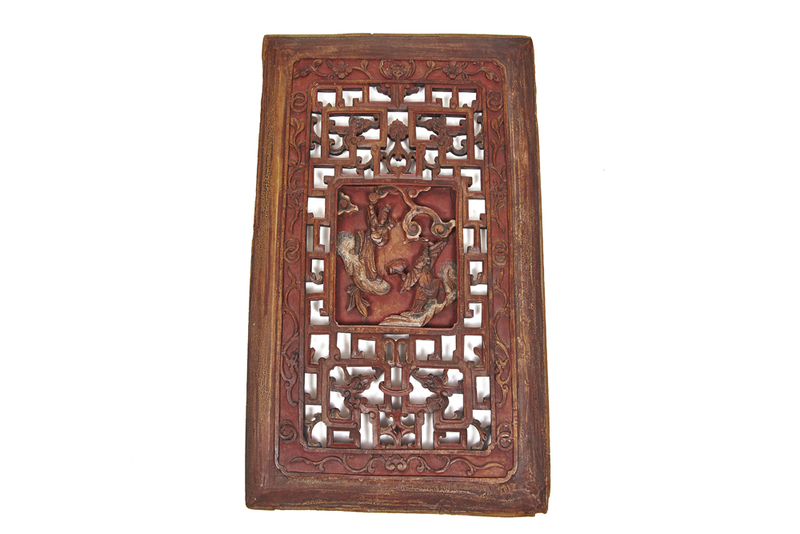 Numerous auspicious symbols have been woven into the design, including a curved ruyi symbol of wish-fulfillment displayed in between the top two dragons, and an overhanging bat of wealth along the top. Various flowers decorate the border, along with the overlapping circular rings, and two more additional simplified dragons. 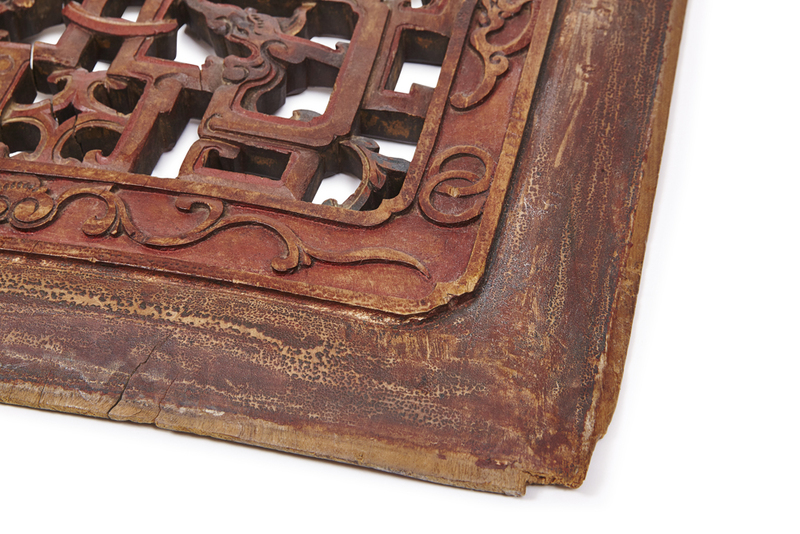 From the presence of there dragon motifs, it is most likely that the window was part of a high-ranking official’s home in ancient China. Dragons: The powerful dragon is believed to be endowed with the ability to subdue demons and ghosts. As the Imperial command, the dragon overcomes obstacles until success. It symbolizes power and excellence, boldness and perseverance, nobility and divinity, and its legend permeates the ancient Chinese civilization and shaped their culture until today. 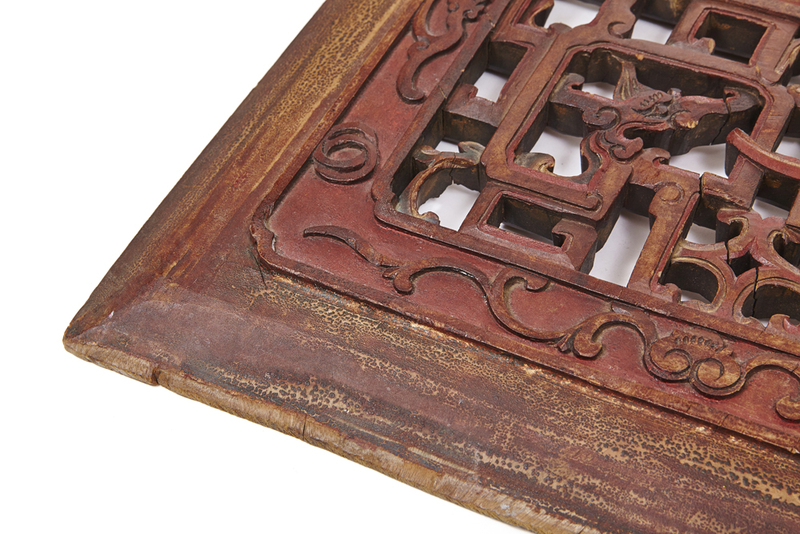 Boasting a warm patina, ancient Chinese artisans beautifully transdormed this window panel into a three-dimensional work of art.